On the eve of Bastille Day, we invite you to discover a detailed chronicle of the events and debates that took place during the first months of the French Revolution, from the creation of the National Assembly until September 1789: “Mémoires historiques, critiques et politiques de la Révolution de France avec toutes les opérations de l'Assemblée Nationale” (Paris, chez l'Auteur, Bleuet, et Potier de Lille, 1790). Its author, Nicolas de Basseville (1753-1793) was an editor at the Mercure National and then a diplomat in Italy; he died in Rome as a martyr of the young Republic, lynched by a mob raised by the papal clergy against the symbols of the French Revolution ! 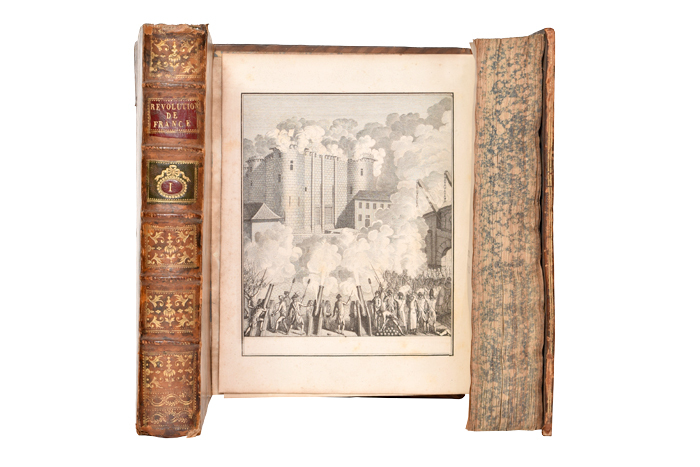 A beautiful copy in nice contemporary binding, illustrated with an engraving of the storming of the Bastille!